Most of us think lips can get dry and chapped only during winters. But it is not true. The truth is – unless you take care of your lips, they can get dry, chapped and flaky any time of the year. Why? Because our lips don’t contain oil glands like other parts of our skin has. Some of the elements like dehydration, smoking and licking of lips, bad lip behavior, vitamin deficiency, and harsh weather can easily make them dry. Keeping your lips, soft, supple and moisturized is an ongoing battle throughout the year. If not treated, it can lead to cracks, blisters and bleeding in the lips. There are many lip care products available to treat chapped lips. Yet do you know simple ingredients like coconut oil or honey can treat chapped lips? Yes, ditch your store-bought lips care product and choose coconut oil over it. Is Coconut Oil Good for Dry Chapped Lips? The minerals present in coconut oil add plenty of moisture to lips which cure dryness. It locks the moisture in the skin which makes the lips look soft and supple. The medium fatty acids present in it can help reinforce the skin’s lipid layer. It contains antibacterial and antifungal properties which deal with any bacterial growth in the cracks of the lips. Vitamin E present in it acts as antioxidant. It contains SPF of 3 which protects your lips from harmful sun rays. The lauric acid present in it relieves the underlying inflammation and acts as barrier to prevent further moisture loss. You can use coconut oil in either solid or liquid form for this process. Dab a very small amount of coconut oil on lips. Before going to bed, a dab a small amount to replenish the moisture while you are sleeping. The grainy texture of sea salt helps to remove the skin flakes from the skin. It also deals with any bacterial growth in the cracks of the lips. Mix 1 teaspoon each of coconut oil (solid form) and sea salt. Apply the mixture over the lips. Gently massage it in circular motions for a few minutes. Wipe off the mixture with a washcloth and pat dry. Honey soothes irritation caused by chapping. The fatty acids present in olive oil nourish the skin. Mix 1 tablespoon each of coconut oil, olive oil and 3/4 teaspoon of honey. Whisk the ingredients well and store the mixture in a lip balm container. Apply the mixture several times a day like a store brought lip-balm. Alternatively, you can avoid honey if you are allergic to pollen. This process results in a perfect alternative for a store-bought and chemical based lip-balm. Beeswax protects your lips from external factors. Coconut oil moisturizes the lips. Honey holds moisture content. Vitamin E neutralizes the effect of free radicals. You can use any essential oil of your choice for a nice smell. Using a double boiler, melt down 1 tablespoon each of grated beeswax and coconut oil. Once it starts melting add a dash of honey into it. Once all the ingredients melt down, add contents of 2 vitamin E capsules into it and few drops of any essential oil. Pour into a container and let it cool down and solidify. Apply it over the lips several times a day. Note: Make sure not to apply excess as it can cause make your lips greasy. This scrub helps to remove the flaking skin and accumulated dead skin cells. Combine 1 tablespoon each of coconut oil and honey, 2 tablespoons of brown sugar and 5 drops of lemon juice. Stir well and apply the mixture on the lips. Leave it on for another minute and rinse off with water. You can store the remaining mixture in refrigerator for future use. Combine 1 tablespoon coconut oil (solid state), 3 teaspoons coarse sugar, 1 tablespoon honey and 5 drops of essential oil (any of your choice). Mix well until all the ingredients incorporate well. Pour the mixture into a small container. Take a small amount of the and gently scrub it over the lips. After a minute, rinse off with water and pat dry. Repeat the scrubbing once in 2 days. You can store the scrub in refrigerator for longer shelf life. Using a double boiler, melt 2 tablespoons each of beeswax, Shea butter and coconut oil. Once the ingredients meltdown, remove from the flame. Add 12 drops of vanilla extract into and stir well. Pour into a container and let it cool down to solidify. Apply a small amount of the solution several times a day. Using a double boiler, melt down 2 tablespoons of coconut oil and 1.5 tablespoons of beeswax pellets. Once they melt down, remove from the flame. Add 6 drops of lavender essential oil and 4 drops of geranium essential oil into it. Stir well and add into lip balm containers. Let it cool down to solidify. Apply as needed several times a day. Add 3 parts of sugar, 1 part of coconut oil (liquid state) and a dash of vanilla bean paste or extract in a bowl. Stir well all the ingredients well and add 2 – 3 drops of wild orange essential oil. Mix well and pour into a container. Take a small amount of the mixture and scrub your lips with it for a minute. Repeat the scrubbing 3 times a week. Store the remaining mixture in refrigerator for longer shelf life. Using a double boiler melt 1 tablespoon each of coconut oil, cocoa butter and beeswax pastilles. Once melted add 1/4 teaspoon of castor oil and stir well. Remove from the flame and let it sit until warm. Add 1/4 teaspoon vanilla extract, 4 drops each of cinnamon powder or cassia, clove powder and ginger powder. Mix well and pour into containers. Use this mixture as a lip balm daily for several times. Apply the mixture on the lips and leave it overnight. Rinse off in the morning and pat dry. For extra benefits, add sugar and peppermint oil. Dry and chapped lips can be difficult to little one, especially while breastfeeding. This process makes sure their lips stay soft, hydrated and supple. Take a sterilized and clean Q-tip. Dip in the coconut oil (liquid state). Gently dab it on and around the lips of your baby. Note: Make sure not to apply any pressure while applying as it can cause pain and discomfort to the baby. Combine 1/2 teaspoon of coconut oil, 1 teaspoon of freshly extracted aloe vera gel and few drops of vitamin E oil. Apply this mixture several times a day. Mix 1/2 – 1 teaspoon of coconut oil (liquid state) and 1 – 2 drops of rose hip seed oil. Apply the mixture over the lips several times a day and especially before going to bed. Use only virgin cold compressed coconut oil. Include coconut oil in your daily cooking. Make sure to apply coconut oil on the lips before going to bed. It prevents dry lips by morning. Apply lip balm with SPF before going out in the sun. Stop licking or sucking your lips. As the saliva will dry out the lips. Dehydration in a body is first observed in lips. Drink at least 8 glasses of water daily to stay hydrated. Dry weather is also a reason for chapped lips so use a humidifier to make sure to keep air your house humidified. Include vitamin, iron, fatty acids and minerals in your diet either through supplements or food. If you are allergic to any lip care product don’t use it. Spicy and acidic foods can irritate your lips so avoid eating them until you treat the chapped lips. Some medication can also cause chapped lips so talk to your doctor to find out about the medicines you take. 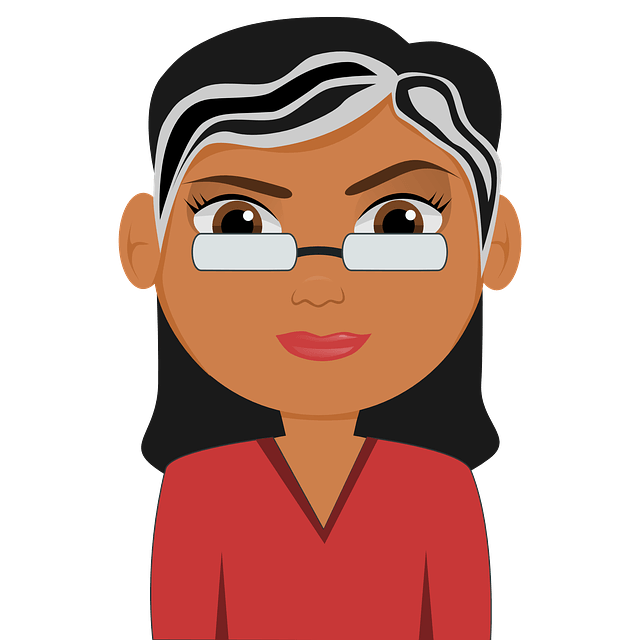 If you are experiencing very painful chapping, swelling or drainage from your lips then consult your doctor as soon as possible. 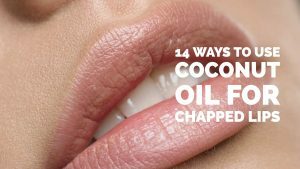 So this is how coconut oil can help you treat chapped lips. We hope you will give it a try. If you have queries or home remedy suggestions for chapped lips, write to us in the comments section below. I am allergic to balsam of Peru. I now think I’m allergic to beeswax/propolis from my lipsil which I’ve been using a lot. My mouth is very inflamed and sore. I’m running out of ideas but need to try to find something to ease my mouth. Thank for this article. I recently discovered coconut oils for my chapped lips. It really helps my lips moisturize.